Hartsville, S.C. – May 29, 2018 – Coker College recently awarded full-tuition Excellence in Teaching scholarships to two deserving Teachers of the Year: a M.Ed. in Literacy Studies scholarship was awarded to Tonya Woodson, a reading recovery teacher at North Vista Elementary in Florence and 2011-2012 Teacher of the Year for Lamar Elementary School, and a M.Ed. in Curriculum & Instructional Technology scholarship was awarded to Regan Moore, a science teacher at Irmo Middle School and 2017 Teacher of the Year for Irmo Middle School. Coker’s Excellence in Teaching Scholarship is for Teachers of the Year in South Carolina who wish to further their education. Any K-12 educator who has been designated as a Teacher of the Year by their school, district, or the S.C. Department of Education is eligible for a term of graduate coursework at no cost and, each year, as many as two deserving applicants will receive a full scholarship for the entirety of their graduate program. 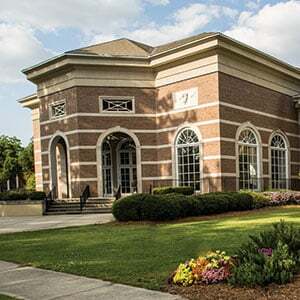 Coker College offers two unique M.Ed. programs with specializations in Literacy Studies and Curriculum/Instructional Technology. Coker’s Curriculum/Instructional Technology program is an entirely online master’s program. All scholarship applicants submitted a portfolio with their biography, philosophy of teaching, and a short essay on current educational issues and trends. Portfolios are reviewed by the Wiggin's School of Education's Graduate Committee. All cohorts are filled for 2018; the next cohort start dates are summer 2019 for both M.Ed. programs, with the scholarship applications due May 1st, 2019. More information is available here. For more information about Coker’s master’s programs, please visit coker.edu/admissions-aid/masters-programs.